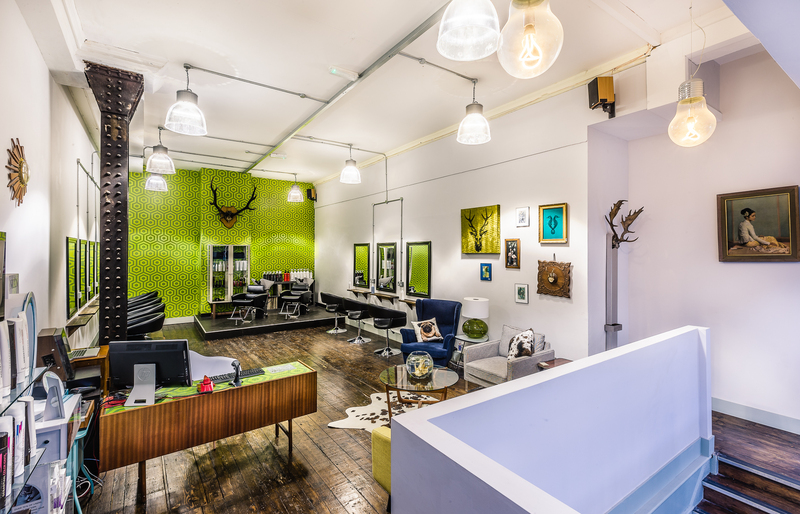 The Northern Quarter has a new hair salon on the block, Adee Phelan NQ. Situated on Hilton Street it is destined to fast become a firm favourite amongst the hip and bohemian clientele that frequent the uber cool district of Manchester’s city centre. Famed for creating the infamous Mohawk hairstyle on David Beckham and his TV fame on Channel 4’s ‘The Salon’ Adee Phelan has made his mark in the hairdressing world. He now has salon franchises in Manchester, Birmingham, London and Bath. Salon owner and Director of Adee’s latest franchise in the Northern Quarter is Rob Czlapka who has been in the industry since the age of 14. I see the salon being a completely unique experience that has been unavailable to clients in previous years. We combine a hair salon with a cinema, which to my knowledge has never been done before. The cinema Rob boasts about can be found in the lower level of the salon and will be open to both hairdressing clients and movie fans for evening showings of rare cinema classics. On ground level there’s a quirky style too - 100 year old antlers are hanging from the walls, there’s geometric wallpaper and even an authentic cow hide on display. Every piece of furniture in the salon tells a story. The reception desk was a 21st birthday present to Rob’s mother back in 1972 and has been reconditioned to use here. There’s also vinyl records being played (with crackle) and reel to reel 70s tape decks playing top 40s from the same era giving a sense of nostalgia. “I wanted the salon to be about my families history and the northern quarter was a perfect fit for this”, explains Rob. The VIP salon launch will be taking place on the 15th August when Adee Phelan and his celebrity friends will be adorning the red carpet to celebrate the new salon and show Manchester what they have to offer.